Agriturismo Rosa dei Venti, owned by the Michelis since the 1900 and directly managed by four different families generations, is located in the heart of the Valdichiana, in an interesting natural landscape framed by some places rich in history like the Etruscan town of Cortona, the castle of Montecchio Vesponi and the old medieval villages of Castiglion Fiorentino and Lucignano. Guests will have the opportunity to stay in accommodations where so much importance has been given to the traditional tuscan features. A member of the Micheli family will welcome the guests and will be available to cater for every need. The farmhouse also has a new restaurant, "La Locanda della Luna". 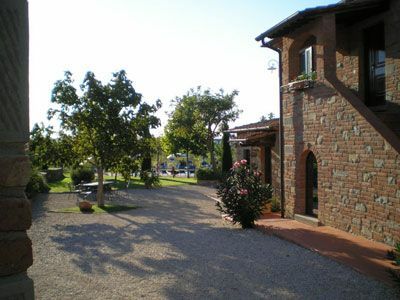 Agriturismo Rosa dei Venti is located in the centre of the Valdichiana, close to Arezzo and Cortona, and offers the possibility to quickly reach the main historical and artistic cities: Florence, Siena, Perugia, Montepulciano, Assisi and Gubbio. Nearby it's possible to play golf, tennis and horseback riding. Cortona, 13 km from the farmhouse.